I’m all out of sorts lately, and my socks don’t match. I think it’s because I’ve spent much of the summer living out of a suitcase. Not knowing where to find bobby pins and clean pajama pants can really out a girl’s sorts, you know? Between moving apartments, starting a demanding new internship, and fleeing the city every weekend for a wedding/anniversary/shower (apparently everyone‘s getting married now; didn’t you know? ), I haven’t had time to think, let alone do a load of laundry. The past few weeks have been spent planing and flying and deplaning and hauling and driving and loading and unpacking and training and detraining and life, it’s exhausting sometimes, people. Except, you know, it’s actually not. I mean yes, life can be stressful and frantic and droopy-eyed, but all these things I “have” to do? These family weddings and bridal showers and anniversaries? They are life at its finest. They are life. They’re times I get to spend with my family and friends, and for that I am entirely grateful. Last week I read the heartbreaking story of Jennifer Perillo, a fellow food blogger (and editor) whose husband recently (and suddenly) passed away. 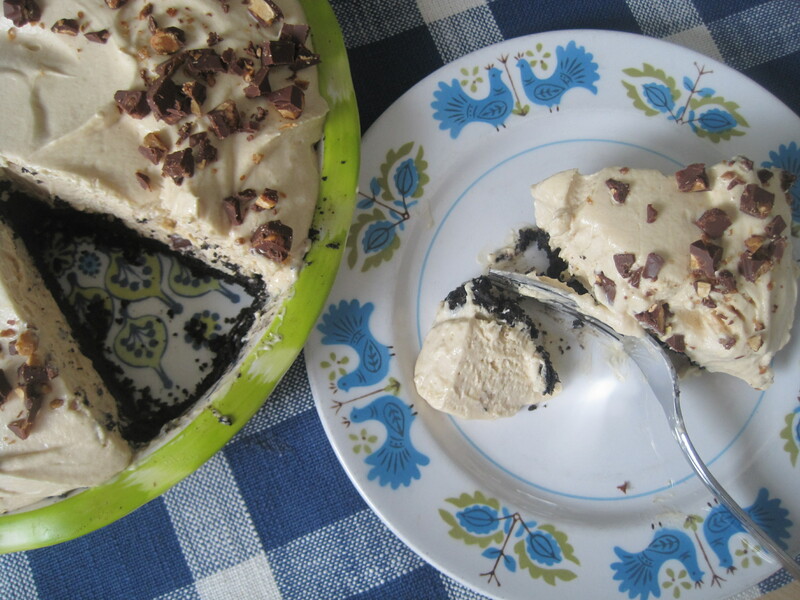 She wrote a beautiful post about Mikey, and how much he loved peanut butter pie, and encouraged us readers to make one ourselves, to share with someone we love. I’ve never met Jennifer, but her story shook me up, and reminded me to take a minute and breathe. And hug my sisters and laugh with my friends and make the drive home to help celebrate my parents’ 30-year wedding anniversary, and walk to the market in my messy bun and mismatched socks and pick up ingredients for peanut butter pie. Preheat the oven to 350 degrees F. Use a food processor to crush cookies into crumbs. Pour in the melted butter and pulse until well combined. Press cookie crumbs into the bottom and sides of a 9-inch pie dish. Transfer to the oven and bake for about 20 minutes, until fragrant and only slightly bubbly. Let cool completely. 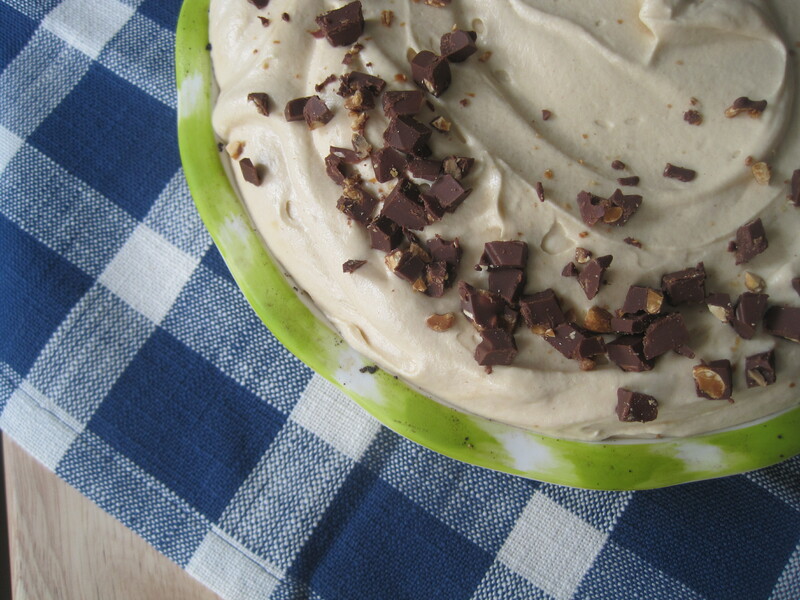 Using a hand held or standing mixer, beat the cream cheese and peanut butter until well combined. Add the condensed milk and confectioner’s sugar and beat until smooth and creamy. Transfer the peanut butter mixture into a large bowl and set aside. Using the whisk attachment (or a whisk and some elbow grease), whip the cream until stiff peaks form. Fold the whipped cream into the peanut butter mixture, and pour the lightened peanut butter cream into the cooled pie shell. Sprinkle chopped candy bar on top, and let the pie chill in the refrigerator until firm (at least 4 hours — I kept it in there overnight). Share with someone you love, and serve with a big glass of milk. What a wonderful and touching post. And what beautiful dishes. thank you for the wonderful message. 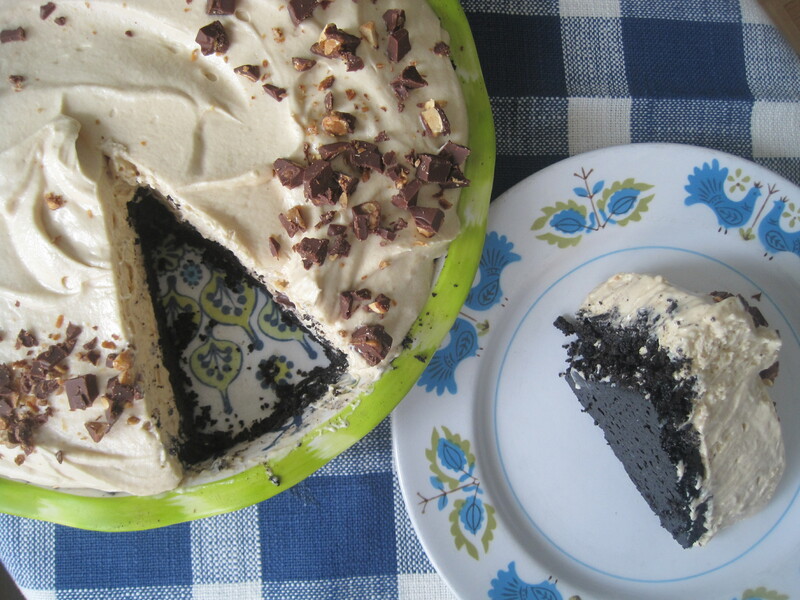 The peanut butter pie looks very delicious. Thank you Mikey.